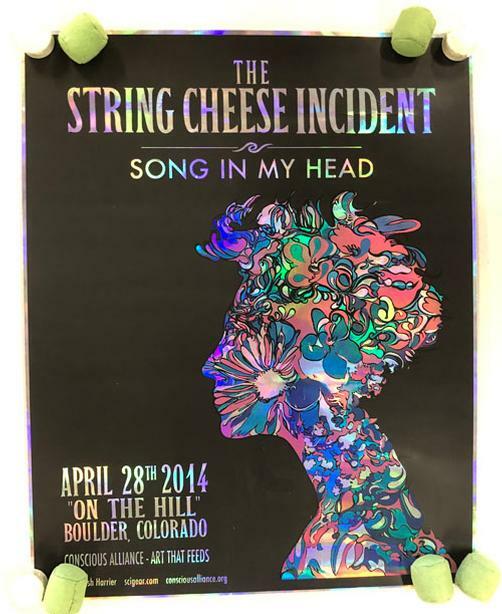 Original concert poster for String Cheese Incident on The Hill in Boulder, CO in 2014. 16 x 20 inches on foil paper. handling marks and creases.